Amarillo Therapist: Whitney Davis - Therapist 79106. Send A Message To Whitney. If you are seeking for renewal of relationship and/or yourself, and yearn to feel restoration, peace, and connection, then this is a wonderful place to begin. While earning her masters degree Whitney was mentored by Dr. Terry Hargrave, Amarillo native and well known for his work with Restoration Therapy. Whitney possess more than 4 years of progressive experience in the therapy field. Her professional history includes positions such as school social work intern at Bryan High School as well as MFT Trainee at PUC Middle School and Lake Avenue Counseling Center. Whitney currently runs her own private practice in Amarillo, and is supervised by Wilbert Newton, MAR, LPC-S, LMFT-S.
Whitney has experience working with children, individuals, couples, adolescents, and families. Whitney also has a great deal of experience working with groups. She has held intuitive health groups, groups for mothers of young children, and marriage groups. She specializes in premarital, marital, and families with children and adolescents (8-17). She and her husband have 3 daughters and enjoy camping, hiking, and biking at Palo Duro Canyon, and college football. Whitney also enjoys baking, spending time with family and friends, attending MOPS, and working out at her husband's fitness studio. 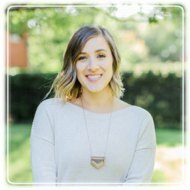 Whitney currently holds a Level II Certification in Restoration Therapy and actively pursues those principles in her practice. Restoration therapy is used to help clients uncover past violations of love and trust that have led them to practice current coping patterns or cycles within relationships. Once clients become aware of their coping cycle, they are then invited to choose a new way of interacting with others through self-regulation, truth, and peace. Are you ready to take charge of your thoughts, feelings, actions, and reactions and feel proud and whole when making choices for your everyday, walking around self? Restoration therapy was created for anyone that is in relationship or regularly interacts with another person. This can be a spouse, a parent, children, friends, clients, neighbors, or coworkers for example. The result of this work is a sense of control and insight into self, coupled with understanding and connection with other. Whitney is a certified PREPARE/ENRICH facilitator. P/E leads the way in helping couples explore and strengthen their relationships. The main component of the program is an online survey you each complete in about 30-45 minutes. P/E is not just any survey. The items you respond to are based on research and are intended to help you identify the unique strengths and potential growth areas of your premarital or married relationship. Whitney will provide feedback by helping you understand your results and learn important relationship skills. Built on a solid research foundation, P/E has been improved and refined over the years to become one of the best, most effective, easy-to-use relationship assessment tools available. The first premarital counseling session will consist of the couple and counselor reviewing and processing the couple’s results from the P/E assessment. The following sessions will be paired with a couple’s workbook, wherein couples will complete “homework.” The homework will assist couples in developing better communication skills and conflict resolution, and create space to discuss roles, spirituality, sexuality, finances, family, and expectations. Ultimately, seeking support is an invaluable investment in your emotional, physical and mental health, an act of courage not weakness, and a gift to those whose lives you touch.